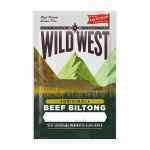 Beef up your protein intake the natural way with this amazing Chilli Biltong by Wild West! Made using traditional techniques unique to the production of Biltong, this stunning beefy snack certainly packs a protein punch – 19g per 35g serving - and flavour wallop with fiery chilli cutting through rich beefiness. It’s also a lean, mean, tasty cuisine with 1.8g of fat per serving and just 97 calories – ideal for those of you looking for a simple, delicious way to keep that hunger monster at bay without wrecking your macros. Plus, it’s naturally free from gluten containing ingredients! It’s even free from artificial colours, preservatives and flavours as well as free from added MSG. 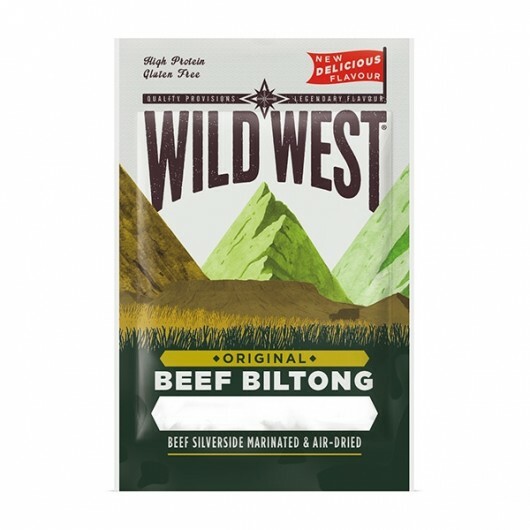 Beef (Made with 200g of Beef per 100g of Biltong), Spirit Vinegar, Sea Salt, Hydrolysed Soya Protein, Caster Sugar, Spices, Yeast Extract, Garlic, Rice Flour, Paprika Extract, Preservative: Potassium Sorbate, Acidity Regulator: Citric Acid.